In September and October in New Mexico, the scent of roasting green chile perfumes the air, from one end of the state to the other. 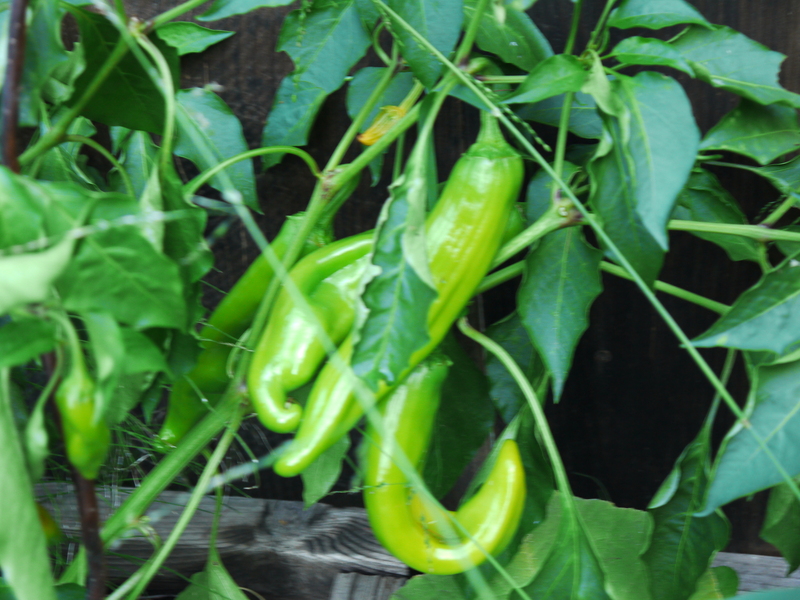 New Mexicans eat green chile every day, sneaking it into eggs, burgers, sandwiches, sauces, pasta, even apple pie. 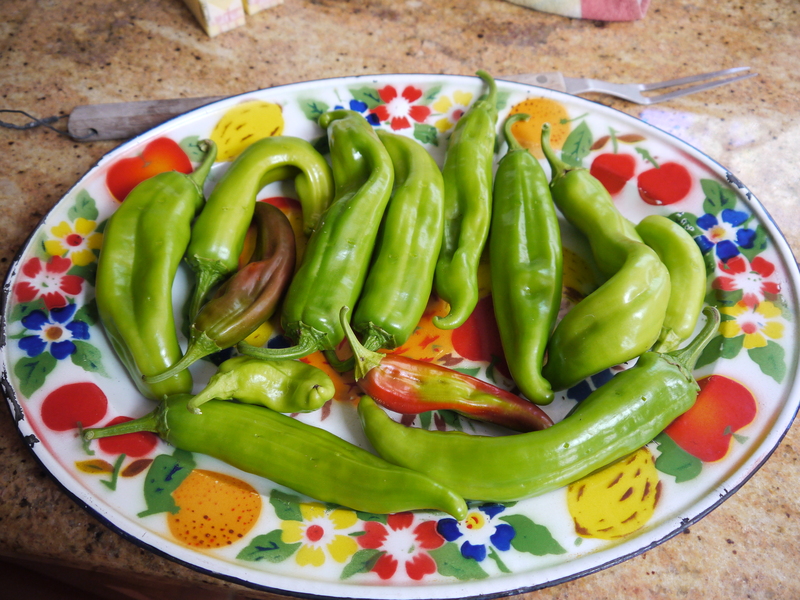 It’s been years since I called the Land of Enchantment home but I carry around a little piece of it in my heart, always….and I also carry around a big craving for real green chile. 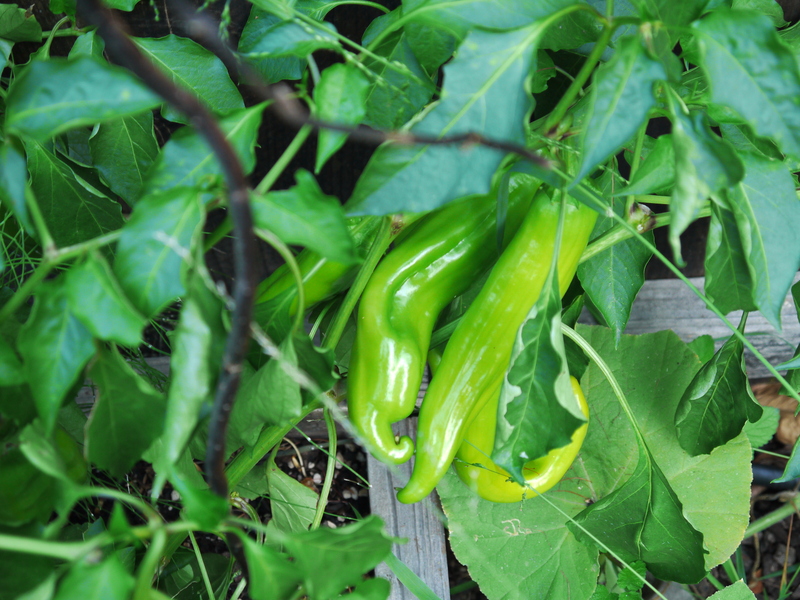 To satisfy my craving, I’ve tried growing NM green chiles in the garden, with dismal results. Foggy northern California is pretty far from the hot, dry desert climate that chiles need to flourish. 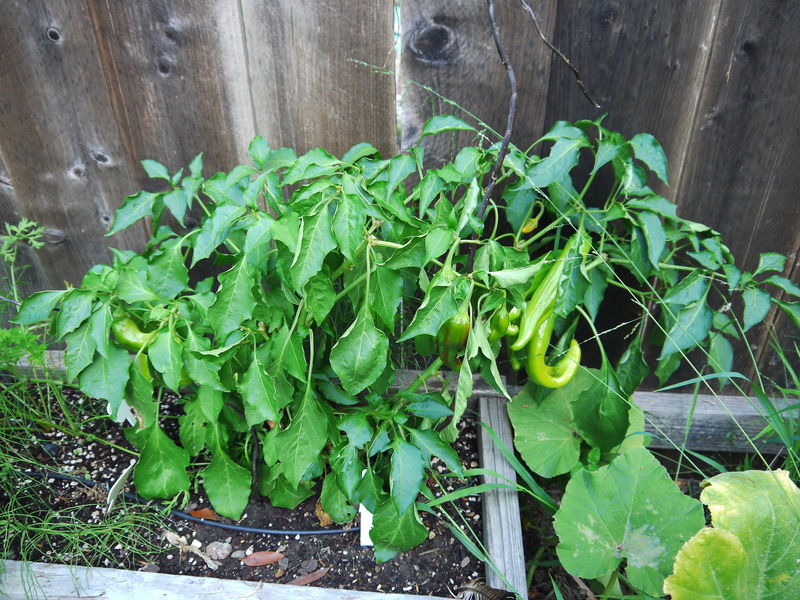 Then I ran across a seedling for Numex Big Jim peppers at the nursery in May and planted it in a sunny spot. Finally it was harvest time. I got about 2 dozen healthy, long chiles off this one plant, which got my taste buds going. The first batch I roasted, peeled and put in the freezer for the year ahead. With the rest, I decided to make verde sauce, using tomatillos that came up as volunteers next to some of the tomato plants. The hardest part of this recipe is roasting and peeling the chiles. I like to roast the them, along with the tomatillos, on a hot grill. 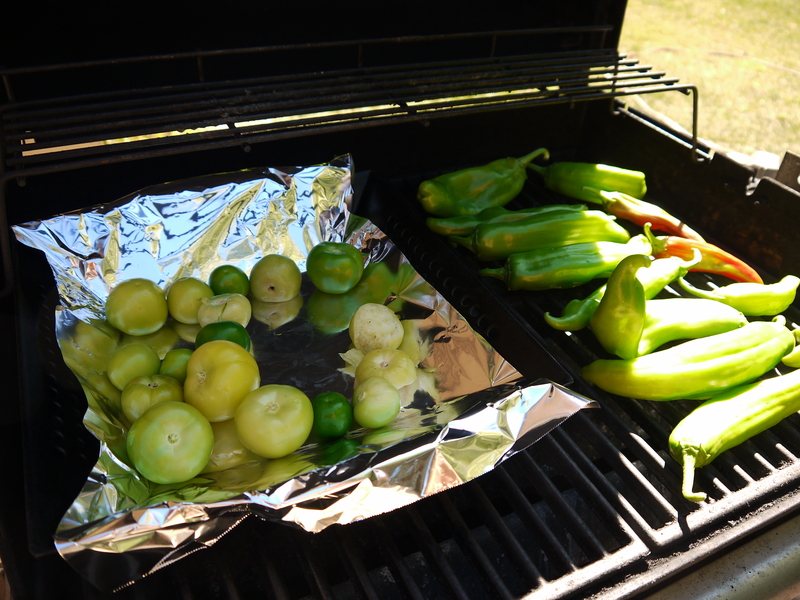 I use a grill wok lined with foil for the tomatillos, to catch the juices as they roast. I added 2 peeled cloves of garlic to the wok. If you don’t have a grill wok, use a sheet tray lined with foil and broil the tomatillos and garlic. Grill the chiles directly over the flames, turning frequently, until their skins are blackened. Put them in a paper bag and close the top tightly, set aside for 10 minutes. Remove the chiles from the bag, peel, stem and remove the seeds. 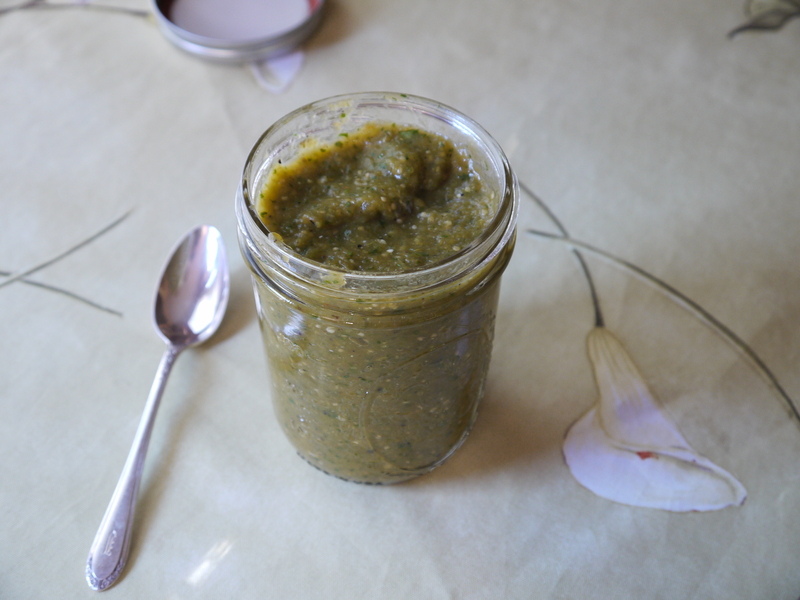 Now you’re ready to make green chile salsa verde. Anaheim chiles are a good substitute if you can’t find NM green chiles. Use salsa verde as a dip for tortilla chips, a sauce for chicken or cheese enchiladas or as a stew with pork and potatoes. 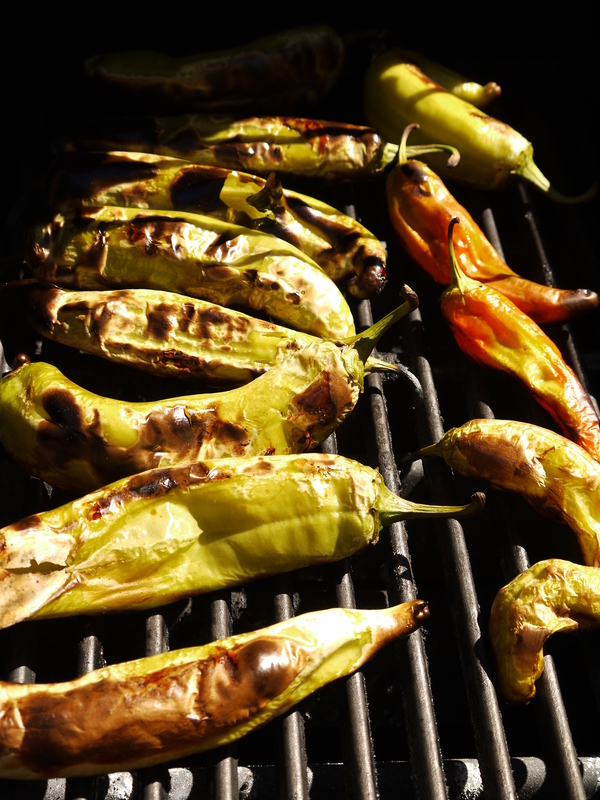 Roast the chiles directly over a hot flame on a grill until the skin is blackened. Seal in a paper bag for 10 minutes. 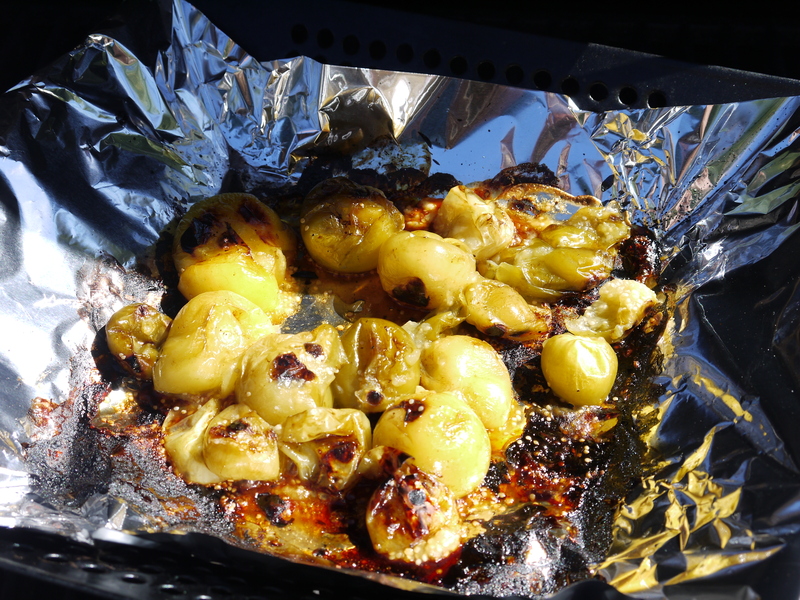 Roast tomatillos and garlic in a grill wok lined with foil over a hot flame on a grill. Alternatively broil in the oven using a foil lined sheet tray. 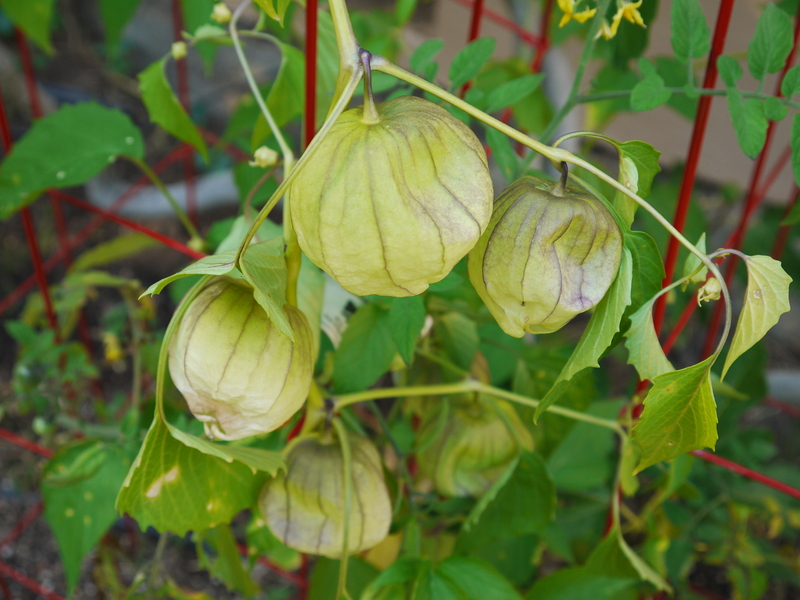 Cook tomatillos until they are softened, evenly colored and have released their juices. Take the chiles from the bag, peel and remove the seeds. Place chiles, tomatillos and their juices, garlic and the rest of the ingredients in a food processor and process in bursts until a chunky puree forms. Taste and adjust seasoning with salt. Add water to desired consistency if necessary. Freezes well for up to 3 months. This entry was posted in Recipes, Sauces. Bookmark the permalink. Mom!!! I liked your article. I want real foodddd. I would kill right now for some of Skippy’s homemade tortillas and green chile.